A Website dedicated to Lt. Kaifi Azmi Saheb!! 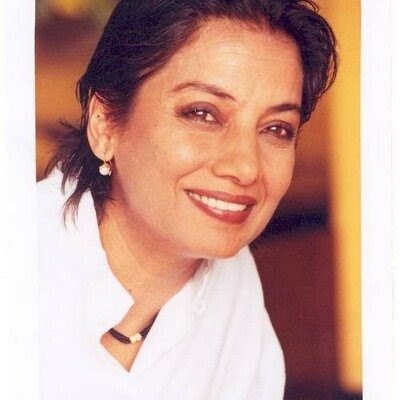 "Pls check out official updated website of Kaifi Azmi," Shabana Azmi tweeted. The site is titled 'Kaifi Azmi - A Rebellious Poet'. The site contains several sections like the legend, collection, tributes, Mijwan and press. "He was always different, a fact that didn’t sit too easily on my young shoulders. He didn’t go to ‘office’ or wear the normal trousers and shirt like other ‘respectable’ fathers but chose to wear a white cotton kurta-pyjama 24 hrs of the day. He did not speak English and worse still, I didn’t call him ‘Daddy’ like other children, but some strange sounding ‘Abba’! I learned very quickly to avoid referring to him in front of my school friends and lied that he did some vague ‘business!’ Imagine letting my school friends know that he was a poet. What on earth did that mean – a euphemism for someone who did no work?"